In our memory, My Neighbor Totoro is a wonderful movie about pure and lovely children. Together with their friend Totoro, they had fun adventures with only children. But does anyone know the gloomy truth behind this story? The My Neighbor Totoro anime was inspired by … the murder of Sayama in 1963. On May 1, 1963, in the Sayama city of Saitama Prefecture, 16-year-old Yoshie Nakata was abducted on his way home from school. That night, a letter of extortion was sent to her home, demanding the family bring a ransom of 200,000 yen to the rendezvous on May 2. The next day, her sister brought the counterfeit money to the rendezvous, where police were hiding, but he quickly fled, the police could not catch him. On the morning of May 4, Yoshie’s corpse was found. According to the police investigation, the girl was raped and killed. Soon after, Yoshie’s sister committed suicide because she could not save her sister. So what does this case have to do with the Totoro anime ? The name of the sister in the anime is Satsuki, which means May, and her sister, Mei, transliteration from English. At the beginning of the film, the box next to the old lady has the words 狭 山茶 – Sayama tea. According to rumors, the ransom place where the name of the perpetrator meet his sister is in the tea field near her home. THE TWO SISTERS IN TOTORO HAVE … DIED ? According to conspiracy theory, Satsuki lied. That shoe is Mei’s and the truth is she drowned. Why can this be so ? After finding his sister, Satsuki ran to tears and asked Totoro to take her to his sister. And Totoro has met her aspirations by bringing her to the cat bus. Do you know where the cat bus has moved to? On the roof of the bus, we see the word 墓道 – Mughal means “road to the cemetery” flashed before passing to the word “Mei”. When Satsuki found Mei, she was sitting under the six statues of Ojizou-san. These statues are very popular in Japan, and they are usually located in cemeteries. It is believed that Ojizou-san is the guardian spirit of the baby. And do you see? The shoes that Baby Mei was carrying were the shoes she had picked up on the river. In fact, baby Mei drowned, the image of her baby sitting under the statue Ojizou-san is the soul of the baby. And to be able to meet her sister, Totoro has taken Satsuki to the other world, where only souls can see each other. Later pictures of her sister is the soul of both girls. That is why the two sisters, after having come to the hospital, but both sisters sit on a branch with a cat bus to look at his mother, but not directly to the room to visit mother. And if the sisters were still alive, why would they leave the corn on the window, their parents could not see them? After receiving the corn, her mother said, “At that moment, in the pine forest, I saw Mei and Satsuki laughing.” Did she only see the souls of the two little children? SO IF INDEED MEI AND SATSUKI WERE DEAD, WHAT WAS TOTORO REALLY? In our eyes from time immemorial, Totoro is a chubby mascot, hairy, lovely, but the true nature of Totoro is … the god of death! If you follow the lyrics at the end – “When you were a kid, he visited you.” – so why other kids (like neighbor kids) can not see Totoro but only Mei and Satsuki? According to many cultures, only the dead or dying can see death. That’s why only Mei and Satsuki saw Totoro. So, do you see a coincidence in this scary incident in the anime Neighbors I’m Totoro with the murder of Sayama. Anyway, it’s all just fanatical conspiracy theories, read mostly fun! For the most part, the film is a light-hearted experience focusing on the girls and their memorable encounters with the spirits. The dramatic subplot in the latter half of the film concerning their sick mother grounds the story somewhat yet reminds the viewer of the importance of magic and imagination in a child’s life. A classic. 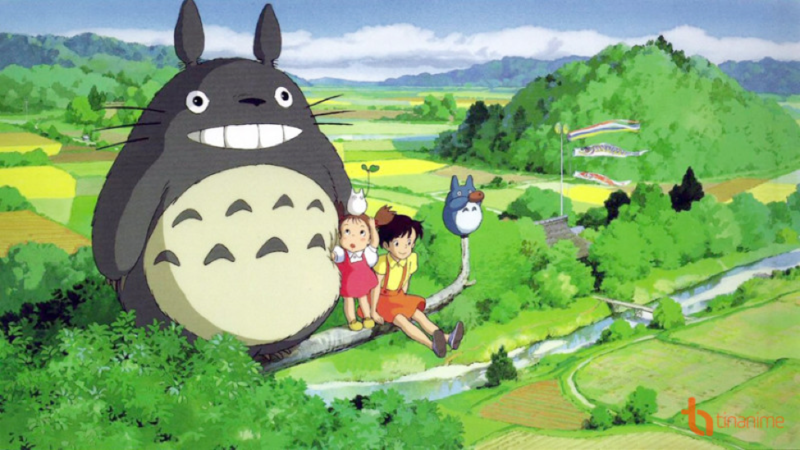 Older Why did Studio Ghibli stop making movies ?